The rent at Plymouth Gardens Apartments ranges from $354 for a one bedroom to a $543 one bedroom. Apartments in this building are about as expensive as the Genesee-Jefferson average. This is a cat-friendly apartment. This apartment is in the Genesee-Jefferson neighborhood in Rochester. Nearby parks include Bausch & Lomb Riverside Park, Fauver Stadium and Eastman Quadrangle. 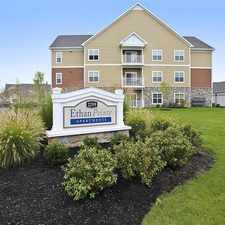 Plymouth Gardens Apartments has a Walk Score of 58 out of 100. This location is Somewhat Walkable so some errands can be accomplished on foot. Plymouth Gardens is a high-rise apartment building located on the banks of the Genesee River, for Senior Citizens 55 years and older. With a mini grocery store and wide range of scheduled activities, this building is a community within itself. But, if you like to get out, take your car from one of the many parking spaces on the premises or just step outside the front door to catch one of the city bus routes, that can take you anywhere in the city. There is even a complimentary bus service which will take you to and from the major grocery stores. The University of Rochester and College Town, are easily accessible by way of a pedestrian bridge over the Genesee River. Plymouth Gardens has spacious Studio, One Bedroom and One Bedroom Deluxe apartments, at an affordable rent which includes utilities. All apartments have cable TV hook up and fully equipped kitchens. There are security access doors to the building and 24-hour emergency apartment maintenance seven days a week. Explore how far you can travel by car, bus, bike and foot from Plymouth Gardens Apartments. Plymouth Gardens Apartments has some transit which means a few nearby public transportation options. Car sharing is available from Zipcar. View all Genesee-Jefferson apartments on a map. Plymouth Gardens Apartments is in the Genesee-Jefferson neighborhood. Genesee-Jefferson is the 16th most walkable neighborhood in Rochester with a neighborhood Walk Score of 69.